Mimi joined us in 2014 as our Crown Court Specialist, having previously lead a busy Crown Court department for over 15 years at another Firm. Mimi handles all aspects of Crown Court work and regularly visits clients in prison and attends hearings with Counsel. 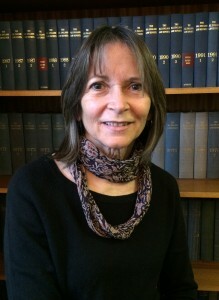 Mimi provides advice on a broad range of cases to both defendants and witnesses. She is able to give advice about new and ongoing cases as well as advising on the merits of appealing convictions and sentences. Mimi is known for her professionalism, expertise and in particular her calm and caring manner in what can be very stressful circumstances for clients.